Is There Life On Other Planets? What Does the Bible Say? 1) The Bible does not specifically address the question of life on other planets. But the Scriptures do tell us enough for us to come up with a solid and sound answer. 2) It is an indisputable Biblical fact that out of all the planets in the universe, the earth is given preeminence and priority. The earth was created first (on Day 1 of the Creation week, Genesis 1:1-2), and contrary to evolutionary theory the earth existed before the sun, moon and stars which were all created on Day 4 of the Creation week (Genesis 1:14-19). To the unbiased reader, this indicates that there was something very special about the earth. 3) God tells us why He formed the earth. He formed it for a purpose: "For thus saith the LORD that created the heavens; God Himself that formed the earth and made it; He hath established it, He created it not in vain, He formed it to be inhabited: I am the LORD, and there is none else" (Isaiah 45:18). "The heaven, even the heavens, are the LORD's: but the earth hath He given to the children of men" (Psalm 115:16). The Bible clearly teaches that the earth was formed to be inhabited by people and other living creatures. The earth, sea and skies are teeming with life! 4) The only life recognized in the Scriptures is human life, plant life, animal life and angelic life (which would include the holy angels and the fallen angels or demons). There is no mention of extraterrestrial life beyond these categories. 5) God tells us why He made the heavenly bodies: "Let them be for signs, and for seasons, and for days, and years: and let them be for lights in the firmament of the heaven to give light upon the earth: and it was so" (Genesis 1:14-15). All of this is for the advantage of those dwelling on the earth. Nowhere in these verses does it state that the purpose of the heavenly bodies was to provide a home for extraterrestrial life. Instead, the heavenly bodies were created to serve useful functions for those living on earth. 6) Why do so many people believe in life on other planets? It is mainly because they have been heavily influenced by evolutionary theory. Evolution suggests that if life evolved on our planet, then life certainly could evolve elsewhere in our universe. There must be an innumerable number of planets in the universe, and among these there must be many that have conditions favorable to life, conditions similar to what is found on planet earth. According to evolutionary theory, if conditions are favorable for life, then life will spring forth (almost of necessity!). Life will evolve from nonlife. Life will spontaneously generate from lifeless chemicals by chance. And even though the odds against it happening are great, yet it will happen anyway, just like it happened on earth. According to evolutionary thinking, even though it is very unlikely and nearly impossible that life can come from nonlife, yet if you have enough time (billions of years), then anything is possible. Blind chance + time + favorable conditions = LIFE. According to evolutionary theory, a creation is not needed. All you need is time and unguided natural processes and favorable conditions, and life will automatically evolve from nonlife. It will just happen! With enough time and with enough luck anything can happen! Not too many centuries ago people believed in spontaneous generation. Typically, the idea was that certain life forms such as fleas could arise from inanimate matter such as dust, or that maggots could arise from dead flesh. This erroneous notion was put to rest by the experiments of Louis Pasteur in 1862. However, evolutionists still teach that life originally came from nonlife. How life could originate from nonlife is one of the biggest problems facing the evolutionists because there is no evidence that this has ever happened or that it could happen. Some evolutionists, including Richard Dawkins (as documented in the film Expelled) have even suggested that life may have been seeded on earth by aliens. In similar fashion, in 1973 the late Nobel prize winning British molecular biologist, physicist and neuroscientist Professor Francis Crick, along with British chemist Leslie Orgel, proposed the theory of directed panspermia [the intentional spreading of the seeds of life to other planets by an advanced extraterrestrial civilization]. 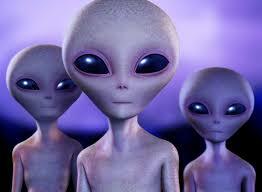 But what Dawkins and Crick never answer is where these aliens originated from. They just push the problem further back. The Creation model recognizes that life can only come from life, and that the origin of life cannot be explained by natural processes, but can only be explained by Creation. In other words, there is life on planet Earth only because the first life forms were created by an Almighty Creator. According to the Creation model, favorable conditions on a distant planet are not enough. In order to have life on any planet, that life must be created. Life doesn't just happen and life does not come from nonlife. Only God can create life. Life does not arise from nonliving material. Cellular life can only originate by way of creation. If there is life on other planets, then that life is there only because of creation, not evolution. However, there is no indication from the Scriptures or from empirical observation that such life exists elsewhere in our universe. The search for extraterrestrial intelligence (SETI) is the collective name for scientific activities undertaken to search for intelligent extraterrestrial life. For example, electromagnetic radiation is monitored for signs of transmissions from civilizations living on other worlds. Scientific investigation of this potential phenomenon began shortly after the advent of radio in the early 1900s. Focused international efforts to answer a variety of scientific questions have been going on since the 1980s. More recently, Stephen Hawking, British physicist, and Yuri Milner, Russian billionaire, along with the SETI Institute, announced a well-funded effort, called the Breakthrough Initiatives, to expand efforts to search for extraterrestrial life. All of these efforts have been in vain. No evidence of extraterrestrial life has been found. The viewing audience would recognize any of these movies as fictional. However, most would say that these movies are based on reality, and that reality is that somewhere out there are intelligent life forms on other planets. And even though we have never encountered such creatures, most believe that they are there and that it's only a matter of time before we meet them and hopefully they will be friendly! 8) Another major influence in the development of an extraterrestrial mindset are the numerous accounts of UFO sightings and even UFO abductions. Yet to date there has never been any sighting or abduction which has been so well documented (by photos, eyewitnesses, physical evidence, etc.) as to convince everyone. No one doubts that the Titanic sank in the Atlantic or that the terrorist attack on 9/11 took place because the evidence is indisputable. UFO believers have never been able to produce this kind of indisputable evidence. 9) After this age has run its course, the next age, the Kingdom Age will be ushered in. Scores of Bible passages make it very clear that the Messiah, Jesus Christ the Son of God, will be the exalted King during that time, and will reign from His Davidic throne in Jerusalem (Isaiah 2:1-4; Isaiah 9:6-7; Jeremiah 2:15-16; Luke 1:31-33). His reign will be on this earth, and not on any other planet. During the Kingdom Age, the earth is given preeminence and priority, and there is not the slightest hint that any other planet or any other intelligent life forms are involved. 10) The total destruction of the earth and the universe is predicted in the Scriptures in such passages as 2 Peter chapter 3, Matthew 24:35 and Revelation 20:11. In these end-of-the-world prophesies, the earth is given preeminence and priority. It is the earth that "shall be burned up" (2 Peter 3:10) in a cataclysmic destruction by fire. The universe also will be destroyed, (2 Peter 3:10-12; Matthew 24:35; Revelation 20:11), but no other planets are mentioned or singled out by name, just the earth. This destruction will be followed by the creation of the new heavens and the new earth, a new universe uniquely prepared for eternity (Revelation 21:1; 2 Peter 3:13). Again, the earth plays a major role in God's prophetic drama, and no other planets are mentioned. The Creator of this universe, the Almighty One, paid a visit to this planet two thousand years ago. "But when the fulness of time was come, God sent forth His Son" (Galatians 4:4). "The Word became flesh and dwelt among us" (John 1:14). "And we have seen and do testify that the Father sent the Son to be the Saviour of the world" (1 John 4:14). "This is a faithful saying and worthy of all acceptation that Christ Jesus came into the world to save sinners" (1 Timothy 1:15). This is the visit from outer space that we need to concern ourselves with. 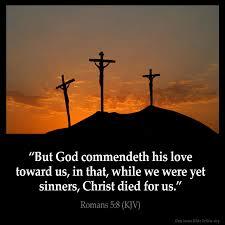 Jesus Christ died on the cross and paid the penalty for our sins. "For Christ also hath once suffered for sins, the Just for the unjust (the Righteous One for the unrighteous ones), that He might bring us to God" (1 Peter 3:18). And after His victorious and finished work on the cross He rose again from the dead and "passed into the heavens" (Hebrews 4:14). The tragedy is that so many people believe in aliens but they don't believe in the Son of God who came to bring them salvation and eternal life: "And this is the record, that God hath given to us eternal life, and this life is in His Son. He that hath the Son hath life, and he that hath not the Son of God hath not life" (1 John 5:11-12). Choose life today! "Believe on the Lord Jesus Christ and thou shalt be saved" (Acts 16:31).